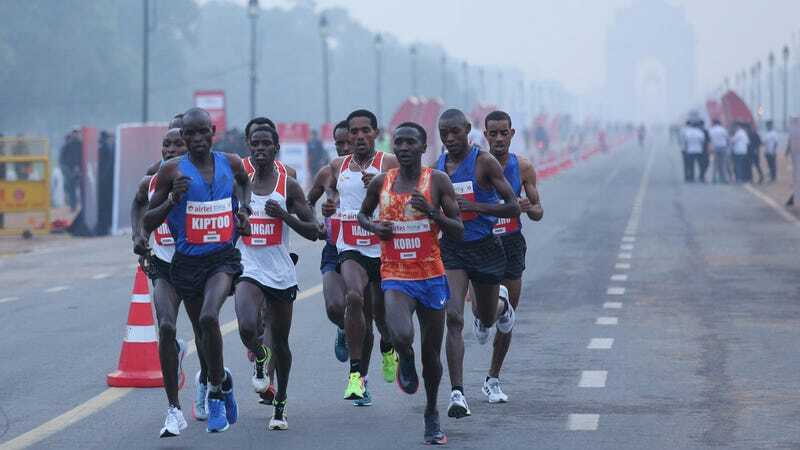 A pair of Ethiopians, Birhanu Legese and Almaz Ayana, swept the men’s and women’s half marathons yesterday in Delhi, India. But the big story from the event was simply that it was run at all: The nearly 30,000 runners who competed in the half-marathon and shorter races on Sunday raced amid heavy pollution. Delhi is the world’s most polluted big city, according to the World Health Organization. On race day harmful airborne pollutants in the city were around 200 µg/m3—eight times the WHO standard for safe maximum air quality. The Indian Medical Association had asked the Delhi High Court to postpone the race, but organizers said running was safe. “There comes a point when you’re halfway down the springboard and you’ve just got to keep going,” race director Hugh Jones said. Legese won with a time of 59:46, 26 seconds off his personal best (set at the same race in 2015). Nineteen-year-old Adamlak Belihu, also from Ethiopia, took second in 59:51. An American, Lenny Korir, finished third in 59:52—nine seconds off the U.S. record for the half. Ayana was the first woman to finish, in 1:07:11, followed by Ababel Yeshaneh in 1:07:19 and Netsanet Gudeta in 1:07:24. Ethiopia swept the podium on the women’s side. Shakya, 31, said he loves running and has watched its popularity in New Delhi soar over the past few years. But he also worries about what it’s doing to him. 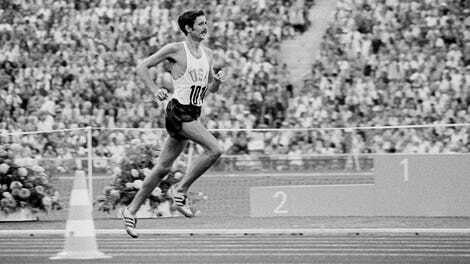 It is an odd road race where runners have to compare the experience to smoking a cigarette afterwards.